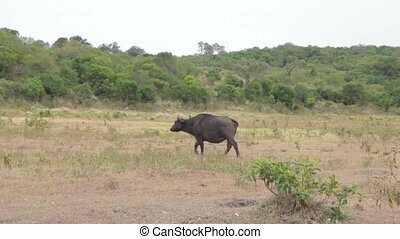 Cape buffalo grazing. 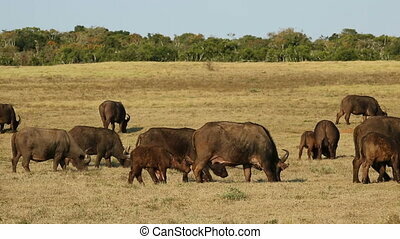 African cape buffalos close up in the great annual migration of serengeti national park of tanzania in africa. 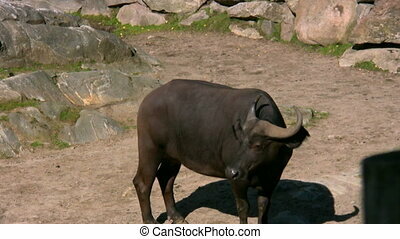 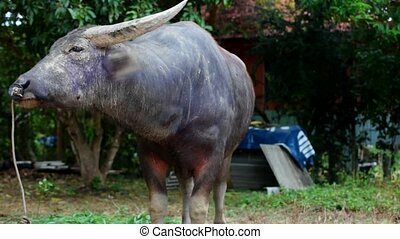 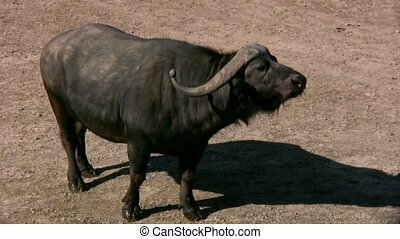 closeup of african buffalo, syncerus caffer, in habitat nature. 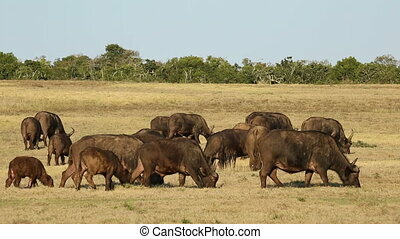 African cape buffalos close up in the great annual migration of Serengeti National Park of Tanzania in Africa. 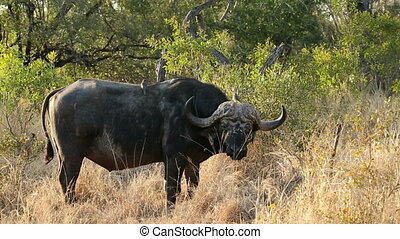 Closeup of African buffalo, Syncerus caffer, in habitat nature. 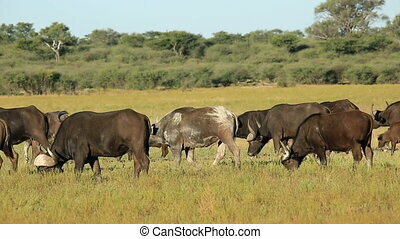 Brown buffalo eating grass. 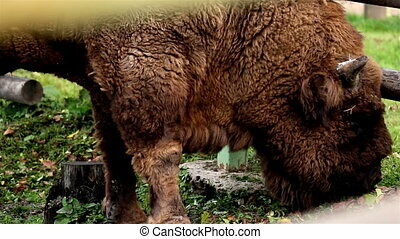 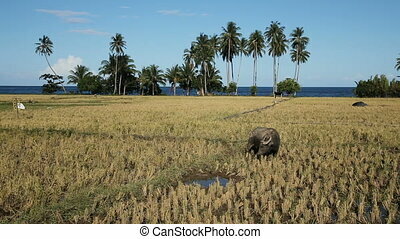 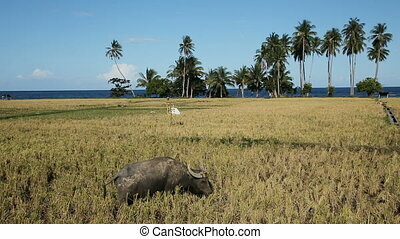 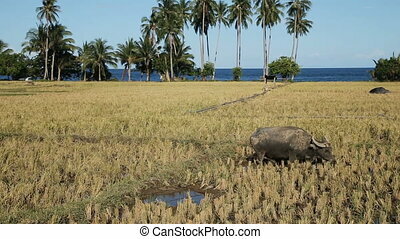 The buffalo is slowly chewing the grass that he is eating. 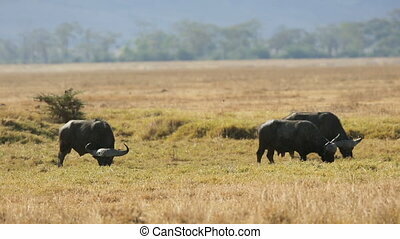 Large buffalo eat grass in Ngorongoro in Tanzania, Africa.